We've all been forced to sit through someone else's video of a trip they took or an event they attended. They’re usually boring, filled with shaky footage, blurry landscapes shot out of car windows and unending shots of static or slow-moving objects. Or, perhaps, does this describe your own fairly unwatchable footage? To avoid this fate, follow these 10 tips when shooting your own videos to get polished, professional results. You know those videos that have the huge ugly black bars flanking the small image in the center? Those videos have been shot vertically. Don’t do it. Remember to rotate your phone into the horizontal position before you hit the record button. This might sound like advice you'd give your child trying to catch a ball, but it's the best way to avoid shaky footage – in addition to your smartphone's image stabilization. By holding the camera in both hands, it and your footage will remain steadier, with less headache-inducing shakes. When the action shifts, or you're shooting a wide scene, you'll be tempted to jerk around to follow the action. Not only does this result in unwatchable blurry footage until your phone is able to refocus, but you add shakes to both ends of the blurry shot. If you need to follow the action, keep your hands and arms still and instead swivel or bend your hips to pan across, or up-and-down, to capture the scene. This will keep everything in focus and the shot steady. 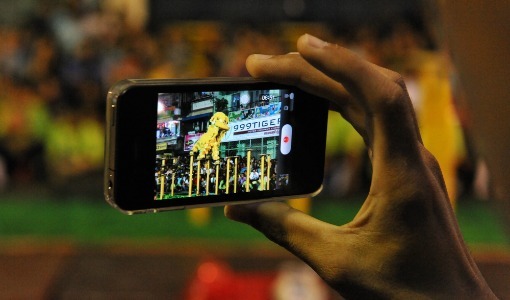 Simultaneously zooming and panning (moving the phone) results in too much motion, and the resulting footage can make the viewer nauseous. Don't zoom until you're done moving your phone, and vice versa. Don't start shooting something and stop two or three seconds later. Quick cuts are disconcerting and don't reveal enough of what you want to capture. If you're going to commit something to video, spend at least 10 seconds exploring it with your phone. Don't spend an inordinate amount of time exploring one particular thing. Keep the action moving and your audience interested by limiting your shooting time to around 30 seconds on any one particular scene. No matter how spectacular the scene may seem to you at the moment, it will always lose a great deal when you play it back. So put someone in the shot if you can. This not only lends size perspective to the object of your video affection, but it also gives your viewer something familiar to look at. Then, like on reality shows, do a little 10 to 15-second close-up of someone talking about how they feel about what you just saw before moving on to the next bit of scenery. Aiming your phone ahead of you or perpendicular from a car window results in loud wind noise and blurry footage. Your phone’s camera simply cannot focus quickly enough to compensate for the constant changes in distance to whatever it is you’re shooting. 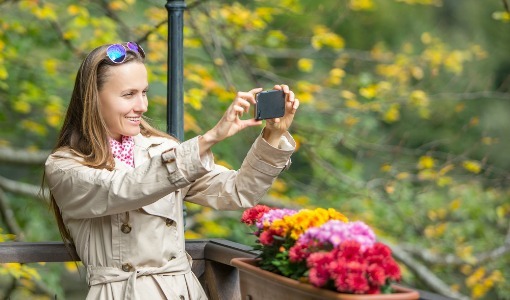 Instead, point the phone behind you and hold it still, allowing it to focus on scenery that isn't rushing by its lens. You'll cut down on wind noise as well. Please don’t make anyone watch a 10 second video of a building, mountain, lake or anything else that doesn't move. That's why your phone can take pictures. If you are shooting stationary objects, make sure the camera moves. Start your shot with a zoomed-in close-up of some aspect of the object in question then "reveal" the object by pulling out from the zoom, then slowly pan across or up and down the object. If you plan to interview people as part of your video, clip a microphone to your subject. You can buy a discreet clip-on mic, like the Rod smartLav+Lavalier Microphone ($70.98 on Amazon). Plus, use a tripod, like the Joby GripTight GorillaPod stand ($21.20 on Amazon) to keep the phone still. Otherwise, your jittery talking head will sound hollow and far away, their voice disconnected from the hand-shaky footage of their face. If you don’t have a mic, keep your subject as close to the phone as possible, and conduct your interview in as quiet a room as possible. And make sure your subject is well-lit. If you don't have enough light, have your subjects face a window with sunlight coming in, or outdoors with the sun behind you. Finally, if your movie includes multiple talking heads or multiple interviews with the same person, make sure they're all looking one way — either into the phone, or at you standing either left or right of the phone.